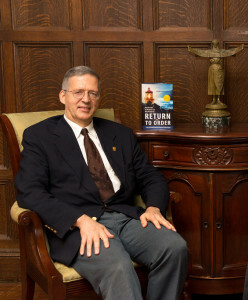 On October 4, Return to Order author John Horvat gave a presentation to the LeHigh Valley Chapter of Legatus. Titled “Why America Needs Fatima,” the talk applied many of the ideas of Return to Order to the Fatima Message. The topic was especially timely in light of the hundredth anniversary of the apparitions of Our Lady at Fatima. Such speeches are part of the monthly program of the Catholic association for the business community. The delightful dinner event was held at the Lehigh Country Club in Allentown, Penn. Mr. Horvat presented three reasons why the Fatima Message is more urgent than ever. He stressed how Fatima is not only about prayer and penance but also about acting against the evils of the day. The author showed how the Fatima record is impressive since both past and present events can be seen through the prism of Our Lady’s message. However, there are still many events foreseen at Fatima that have yet to happen. This Fatima message makes Catholic proportional to the many problems and crises that seem so disproportional to the capacity of people to deal with them. Each attending couple received a copy of Return to Order and Luis Sergio Solimeo’s Fatima: An Urgent Message for Our Time. After questions and answers, the author stayed to sign Return to Order books to those who wished. Interested in a Return to Order presentation for your group or event? To inquire please send an email to jh1908@aol.com or phone 717-309-7147. 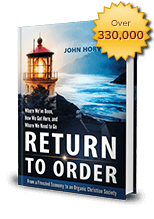 This entry was posted in Featured and tagged centennial of Fatima, Importance of Fatima message, John Horvat, organic Christian society, Return to Order, Why America needs Fatima by RTO.org. Bookmark the permalink.